Ruth Marie Zagel, age 85, passed away on Tuesday, October 16, 2018 at Sea Aire Assisted Living Community in Yachats, Oregon. She was born on March 15, 1933 to Paul and Milda Freiburger in Billings, Montana. 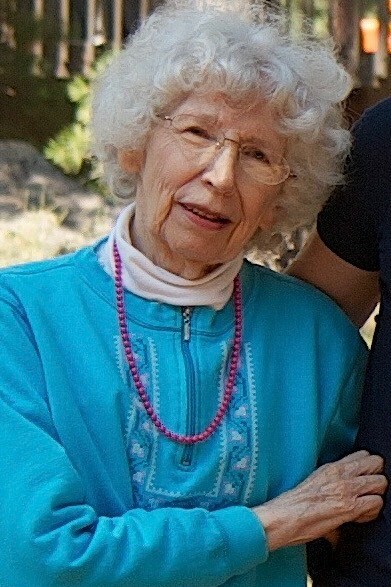 She graduated from Billings High School in 1951. Ruth married Ronald “Pete” Zagel on June 25, 1954 in Billings, Montana. After Pete’s ordination into the Ministry, the couple served Lutheran congregations in Anaconda, Montana, Sidney, Montana and eventually moving to Newport, Oregon in 1968 serving All Nations Lutheran Church. Along the way, the couple had four boys: Mark, James, Jonathan and David. After her family and church, her passion was teaching. After graduating from the University of Oregon with a Masters in Elementary Education, Ruth taught 3rd grade at Yaquina View Elementary for 20 years, retiring in 1997. Each year, she dedicated her life to her students!! Ruth loved to play the piano and organ, reading, gardening, going to church, listening to classical and Christmas music, eating with her friends, seeing her grandchildren and traveling to Germany. Ruth was a member of Atonement Lutheran Church and P.E.O Chapter E.O. She is survived by her sons James Zagel (Paula), Brighton, Colorado and Jonathan Zagel (Darla), Newport, Oregon, sister Lois Fergin, Seattle, Washington, four grandchildren and nine great grandchildren. Ruth was preceded in death by her husband Pete, sons Mark and David and brother Carl Freiburger. A memorial service will be held on Saturday, October 27th at 1:00pm at Atonement Lutheran Church, 2315 North Coast Highway, Newport, OR. Ruth will be buried in Sunset Cemetery in Anaconda, Montana next to Pete and her son Mark. In lieu of flowers, memorials may be made in Ruth’s name to Atonement Lutheran Church or Yaquina View Elementary, 351 SE Harney St., Newport, OR, 97365.